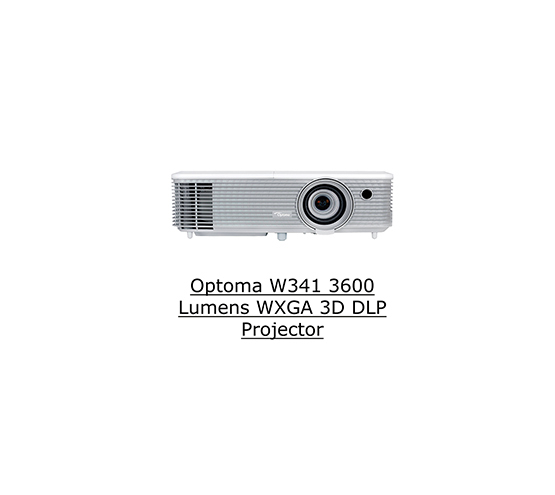 All fixtures With VGA &HDMI Cables, Power Cable, Cap & Case. 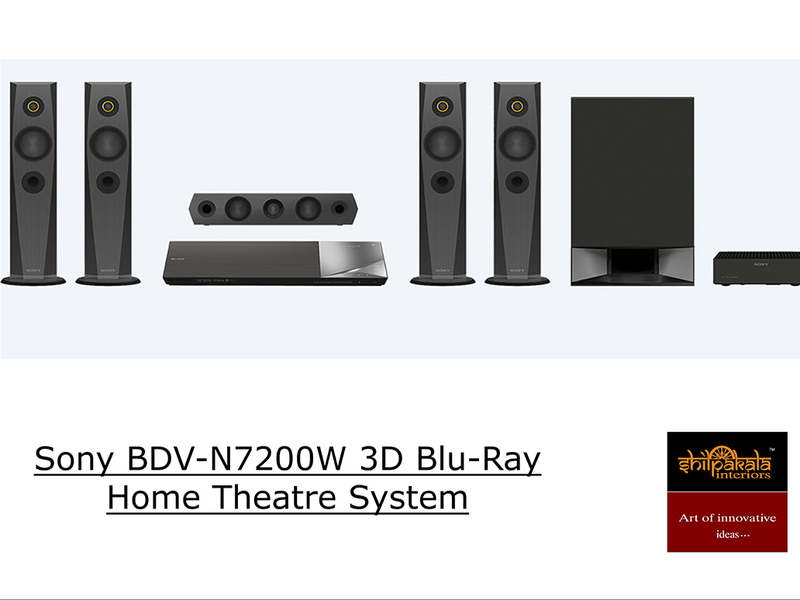 Sony BDV-N7200W3D Blueray Home Theatre Dolby Surround Sound System.1200 Watt,5.1 Channels, Wi-Fi, Bluetooth, Mic, Amplifier Subwoofer Etc. 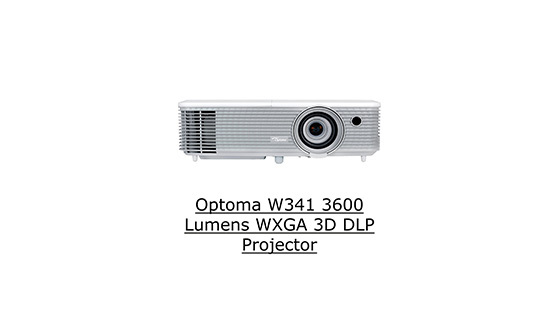 Optoma Projector W341 - 3600 Lumens, WXGA ,1Yr Onsite for Proj & 1Yr/1000Hr Lamp Warranty. 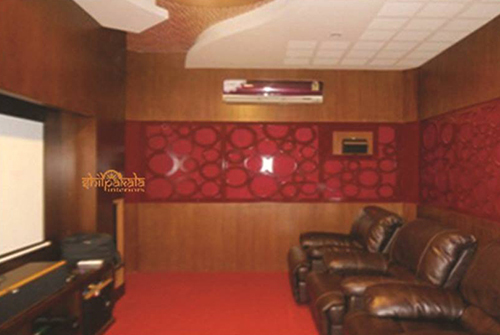 Providing and fixing Decorative Acoustic paneling with 18mm exterior grade MDF grill board, Marine Plywood with PU Paint & melamine polish. 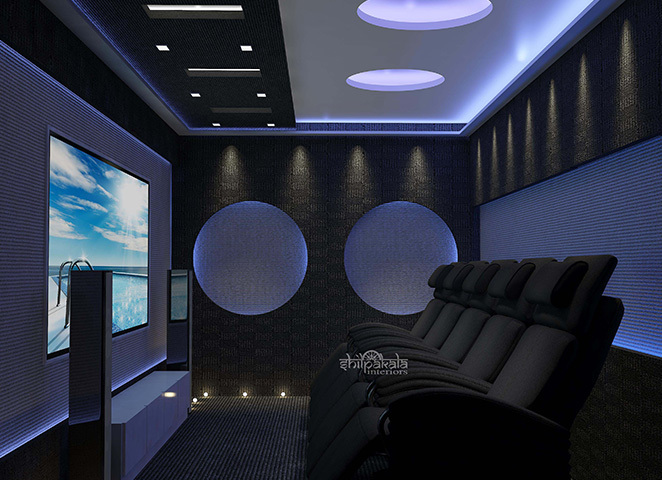 Providing and fixing False ceiling with Acoustic Gypsum board, decorative Lighting with LED strip and spot lights. 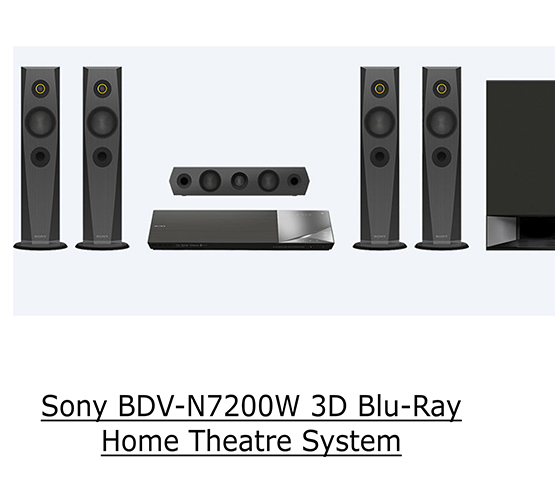 VII SCREEN PANEL & SOUND SYSTEM STORAGE. 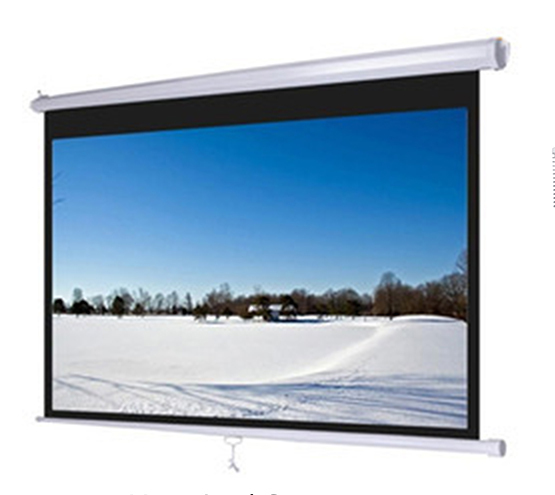 Made of Marine grade plywood 710,Exterior grade MDF & finish with PU paint & Melamine polish. 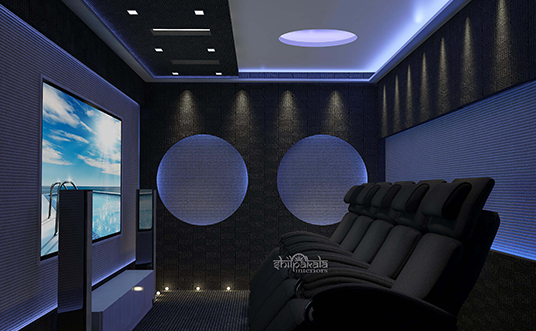 Supply and erection of LED strip & Spot lights, proper Screen - music system connections with Finolex or V - guard brand cable wiring on false ceiling, another areas as per layout. 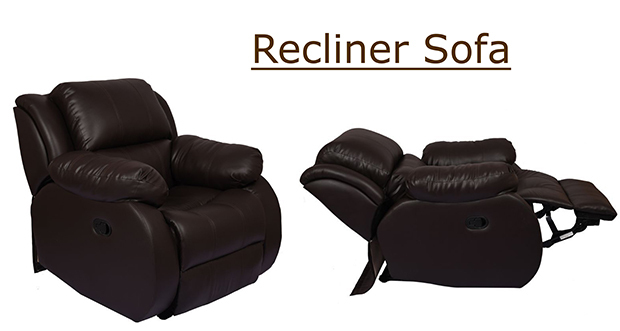 Supply of Internal Frame with Hardwood & Artificial leather Upholstery, Fiber Fill Cushion, Recliner Mechanism. 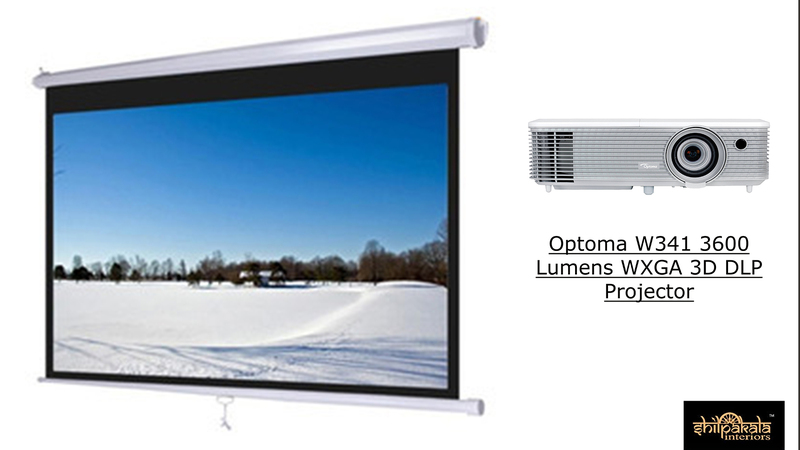 Supply and installation of 1.5 tone split A/c & its outdoor unit with stand with stabilizer. Supply and installation of Acoustic Wooden door with Door frame.